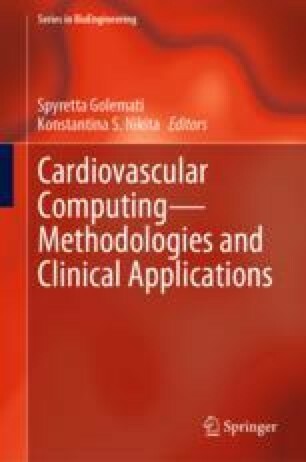 This chapter describes the state-of-the-art in artificial intelligence and machine learning methods for cardiovascular disease diagnosis and prognosis, focusing on Coronary Artery Disease (CAD). We aim at providing a cohesive overview of the existing methodologies in the topic and the most exploitable predictors for CAD staging and evolution. Thus, the relevant literature is analysed and contrasted with respect to the acquired dataset, the examined feature space, the employed predictive modelling schemes and their discriminative or predictive capacity. Moreover, important challenges stemming from the increasing ubiquity of electronic health records, personal health records and big data are discussed and, given the limitations of current approaches, future directions are delineated. This work is partially funded by the European Commission: Project SMARTOOL, “Simulation Modeling of coronary ARTery disease: a tool for clinical decision support—SMARTool” GA number: 689068.